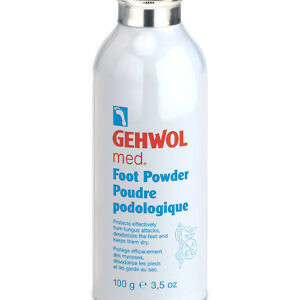 Universal foot cream with a broad spectrum action. 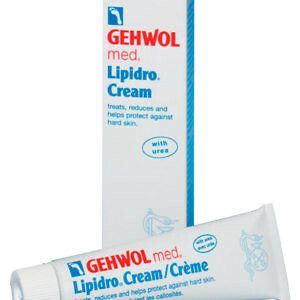 For daily intensive care. 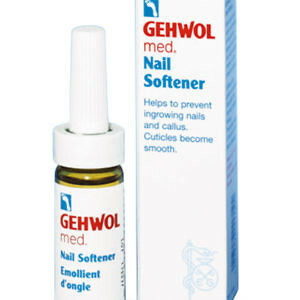 Gehwol Extra intensively cares for and strengthens overstrained feet, deodorises and disinfects. 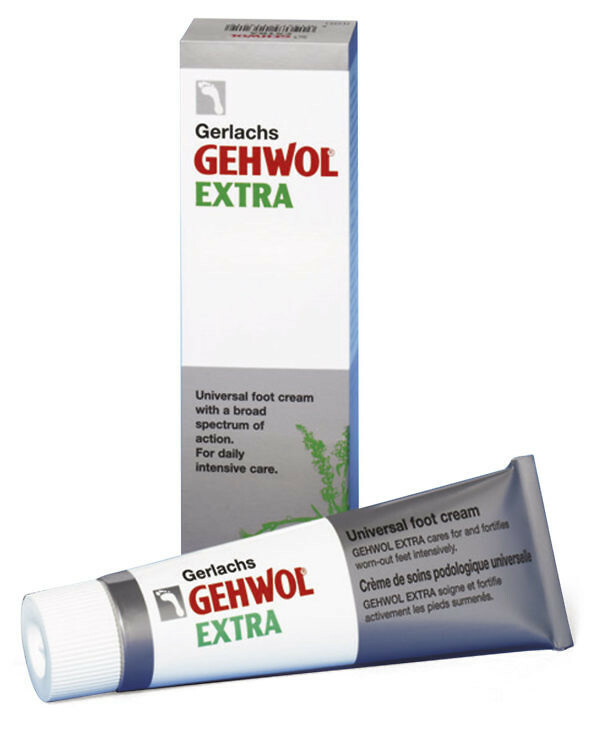 Gehwol Extra protects against sore feet, infections, foot odour, callouses, sores and blisters and makes dry and rough skin smooth. The natural oils of eucalyptus, rosemary, lavender and thyme in Gehwol Extra revitalise the feet and improve their function. 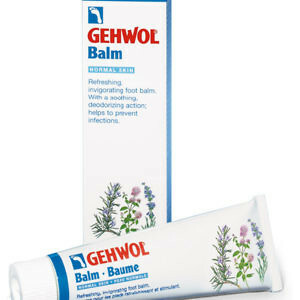 Gehwol Extra stimulates the circulation and protects against cold and damp feet.